How the language of Don Quixote, fully titled The Ingenious Gentleman Don Quixote of La Mancha, El ingenioso hidalgo don Quixote de La Mancha, spread around the world has been discussed in the first part of this article. 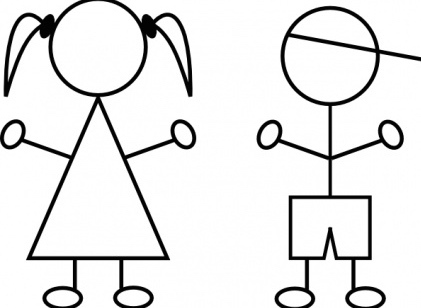 Here, in part two, I explore the importance of Spanish as a world language. Don Quijote, Museo de Arte e Historia de Saint-Denis en Paris. 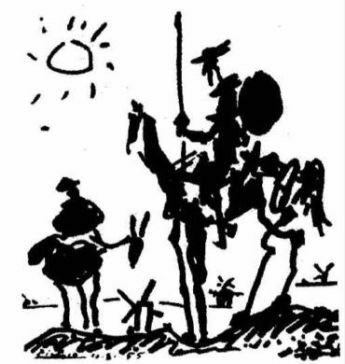 This is Pablo Picasso’s representation of Don Quijote, made to illustrate the magazine Les Lettres Françaises, in celebration of the 350 years of Don Quijote’s first edition, in August 1955. Today, more than 400 million people in the world speak Spanish as their native tongue; another 100 million plus, do so as a second language. Spain has over 46 million native-speakers whilst Latin America and the USA make up the majority of the overall 350 million native Spanish speakers in the World today. Spanish is one of the six official languages of the United Nations as well as of the European Union and Mercosur, and of many international organizations and bodies such as the International Criminal Court and the World Trade Organisation. 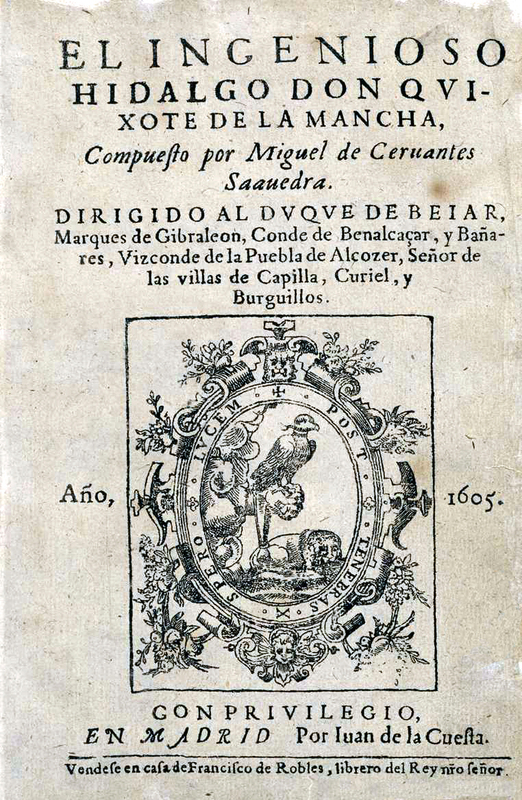 El ingenioso hidalgo don Quijote de la Mancha. First edition, frontis page, 1605. It is the official language of 20 countries in the World. As mentioned earlier, it is also widely spoken in the USA, Philippines, Africa, Equatorial Guinea; and amongst a small number of inhabitants of Ceuta and Melilla in Morocco, Belice, Andorra and Gibraltar. The 22 Academies which are part of the Asociación de Academias de la Lengua Española, (ASALE), The Association of Spanish Language Academies, ensure the coherence of the language throughout the countries where it is spoken. 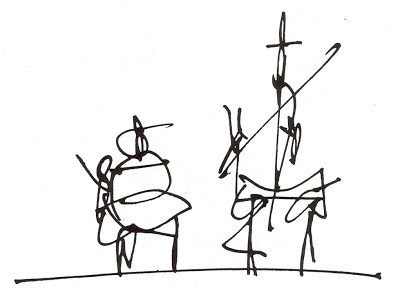 Antonio Saura (1930-1998), one of the most relevant representatives of the abstract expressionism, illustrated a new edition of Don Quixote, merging the narration with his own symbolic universe, in 1987. It is estimated that in 2050, four out of ten USA inhabitants will speak Spanish; making it the highest concentration of Spanish speakers in the World. In 2005, Brazil introduced a new law, establishing that public and private secondary schools must offer Spanish as a second language. Whilst this is obviously very costly to implement, learning Spanish as a second language in Brazil is extending fast. This is considered a national priority, and a worthwhile investment for the future of Brazil as a global nation. Spanish is in the top three languages most studied as second language. According to the Instituto Cervantes, currently, the number of people studying Spanish as a second language exceeds 19 million in the World. Lithography of Don Quixote by Salvador Dalí,1957. Similarly, learning Spanish as a second language has been on the increase in Europe. In recent years Spanish has become one of the most studied languages in Ukraine; this appears to have been a byproduct of bilateral relations between the Spanish and Latin American countries with Ukraine. As you can clearly see Spanish is becoming a truly global language, be that simply through natural growth and evolution or through deliberate design by future-savvy Governments and nations. Language for the Future, a British Council report. Currently in the UK it is estimated that there are 850,000 Spanish-speakers. In 2014 the British Council published Languages for the Future . The Report suggests that native English speakers are not choosing a variety of second languages to learn or use, therefore the UK needs to develop its citizens’ competence in a wider range of languages, and in far greater numbers, in order to reap the economic and cultural benefits available to those who have these skills. The Report concludes that not enough British people are learning a second language and the country needs a greater number of people speaking additional languages to boost its world standing. The predictors used by the British Council show that Spanish emerged in pole-position of the 10 most useful languages for the future success of the UK. 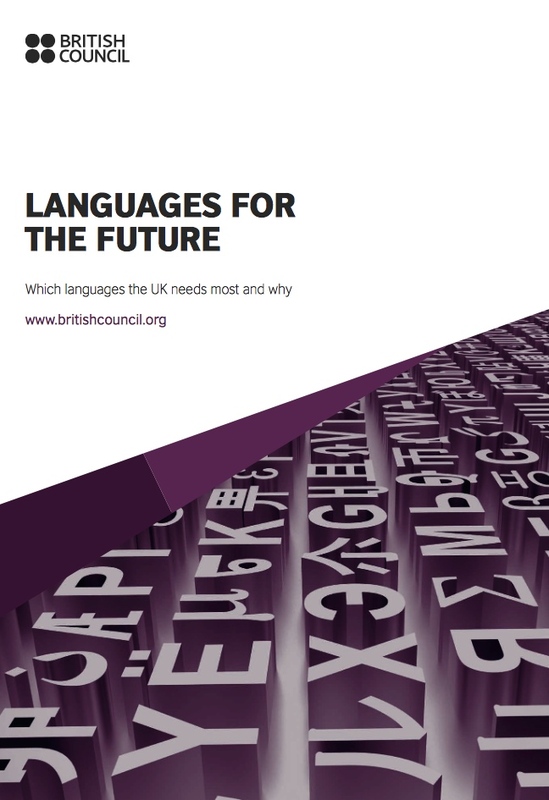 To access to the British Council report, click here: Languages for the future. Too Early to Start Considering your New Year Resolution? 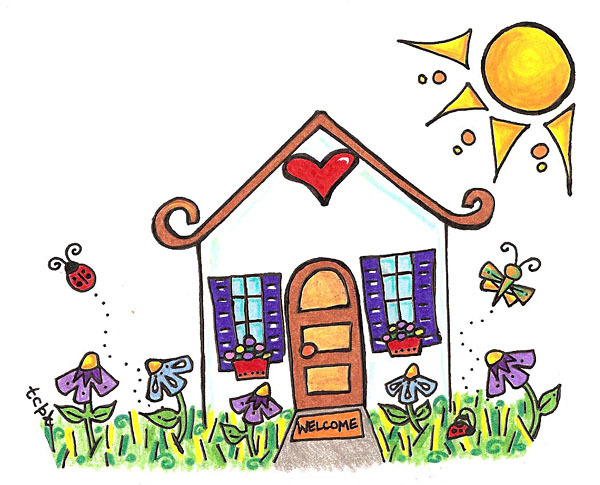 Have you considered how you will spend those long, dark winter months? For those who lead a busy life, learning Spanish, through Skype or FaceTime, in the comfort of your home may be a good decision. 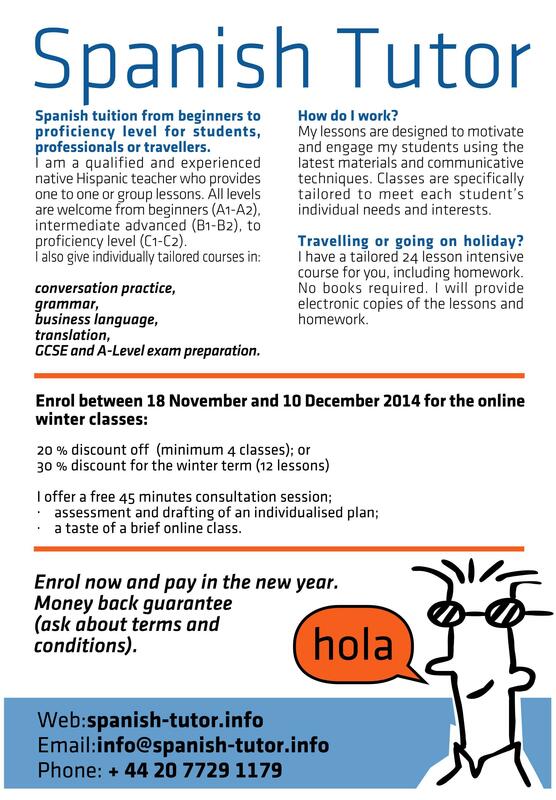 Enroll for my range of online winter classes, which are designed to suit your specific Spanish language requirements. 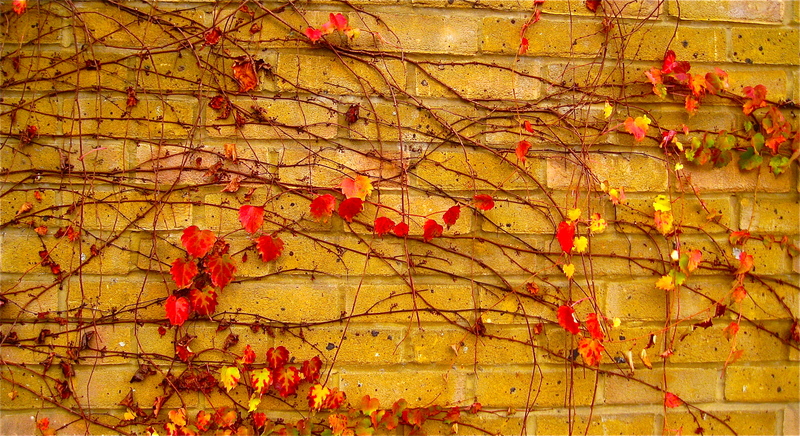 Stay warm and enjoy Spanish language lessons with a qualified and experienced native Spanish language tutor. We have been spoiled with a myriad of Latin American film choices to see during November 2014 in London and here comes another opportunity not to be missed. 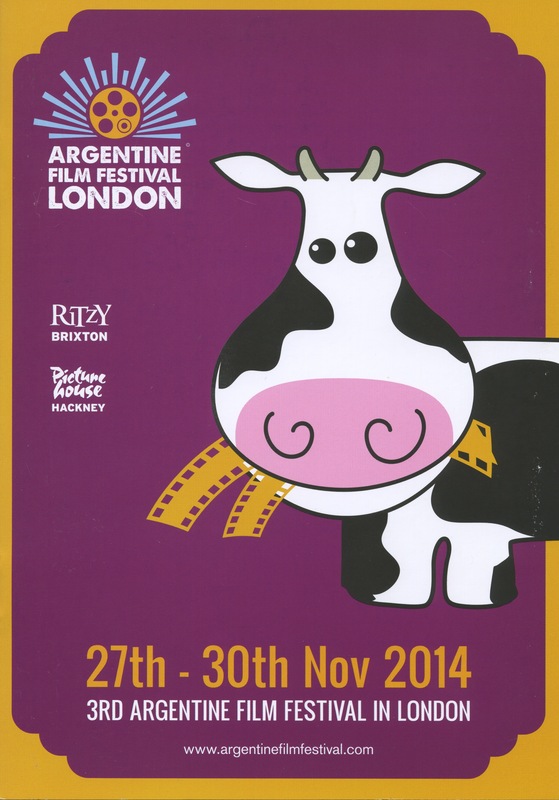 The third Argentine Film Festival in London, at the Ritzy and Hackney Picturehouse, kicks off on 27 November, runs until 30 November 2014 … and it is selling out fast. In fact, the opening film Damian Szifron’s Wild Tales, Relatos salvajes, has now sold out. So, hurry up! 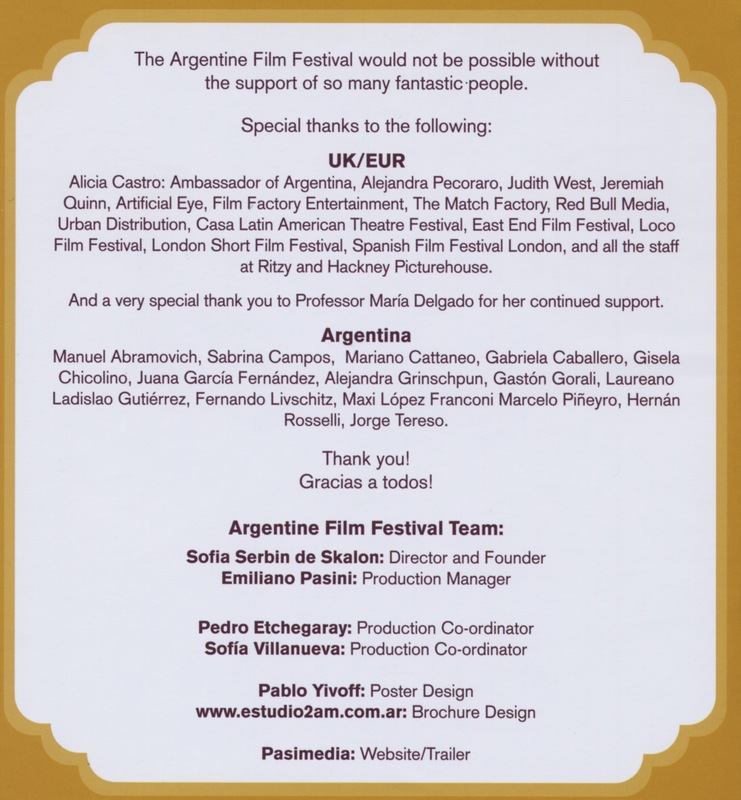 The festival is intended to bring much needed Latin American sunshine to our cold and chilly autumn and more importantly grants an opportunity for students of Spanish and lovers of all things “Latin” to immerse themselves in the culture, humour and particularly the flavour of Latin American cinema. The movies includes ‘Death in Buenos Aries’ by Natalia Meta bringing to life a high-voltage thriller set against a backdrop of the 1980s; the animated comedy ‘Metegol’ by the Oscar winning Juan Jose Campanella perfectly capturing the national obsession with football; ‘Living Stars’ by Mariano Cohn and Gaston Duprat is a film in which real people dance at home or in their gardens to a single song, providing a truly uplifting experience; and Thomas Dirnhofer’s ‘Cerro Torre’ which follows David Lama’s terrifying free-climb of the infamous granite needle Cerro Torre. 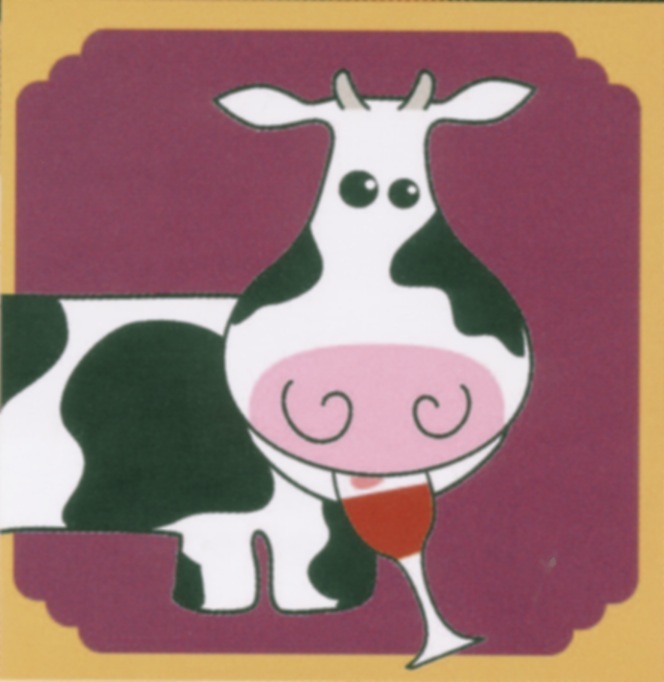 For the full programme, film descriptions and even presentation times, please click here. If your answer is “yes”? … Think again. 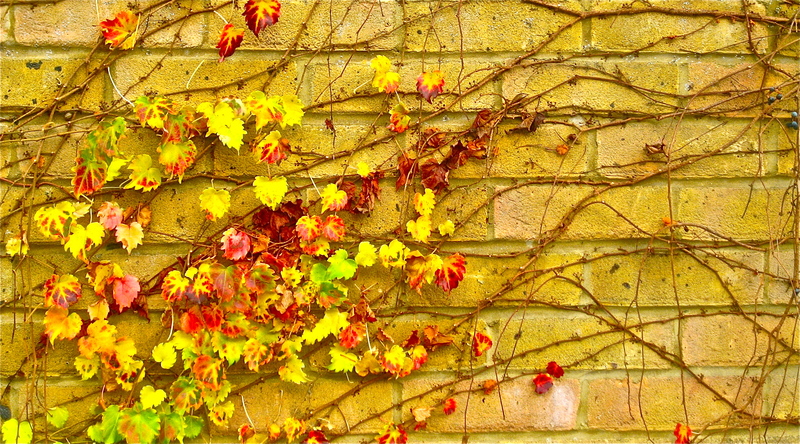 Autumn has arrived here, a little later than usual, with that soft sunlight coming in installments, sprinkled with heavy showers, in anticipation of the cold weather heading our way in this part of the world. We are fast approaching the end of another year, a time to reflect on what we have achieved and to look forward. What plans are you going to make for next year? It may appear too early to make “new year resolutions” now … but have you considered how you will spend those long, dark winter months? Why not make one “new year resolution” early and put those cold winter evenings to good use with a program of study in Spanish. For those who lead a busy life, learning Spanish, through Skype or FaceTime, in the comfort of your home may be a good decision – log fire is optional. I believe that to learn a language must be FUN. It must be a frequent and enjoyable route full of discoveries. In order to understand a new language it must be relevant to the learner and using conversational techniques helps us to grasp and to memorise these new ideas faster. It is a navigation into a new universe full of discoveries. See my article: Learning Spanish must be FUN, 22 February 2014). I would like to invite you to enroll for my range of online winter classes which are designed to suit your specific Spanish language requirements. Stay warm and enjoy Spanish language lessons with a qualified and experienced native Spanish language tutor (that is me). 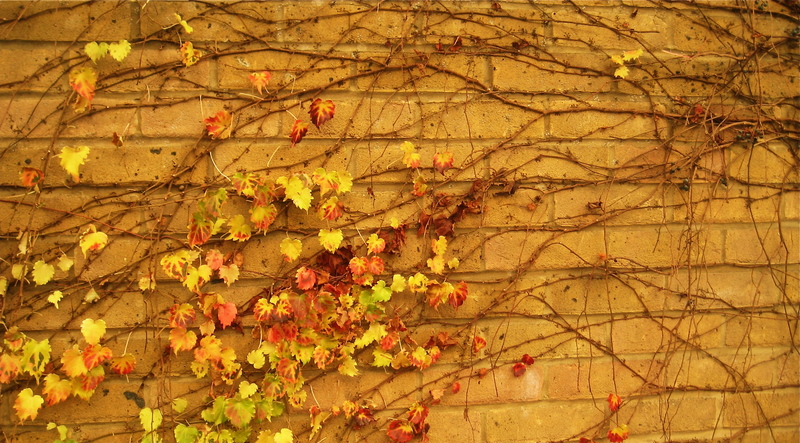 If you register between 18 November and 10 December 2014 for the online winter classes you will receive a 20% discount off a minimum of 4 classes; and 30% discount for the winter term. a brief online class taster. Enrol now and pay in the new year. Money back guarantee (ask about terms and conditions). Welcome to the Spanish world in 2015! 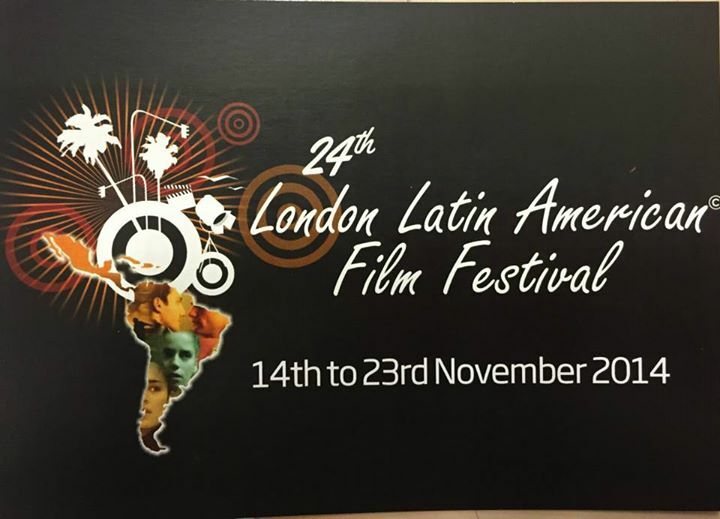 An opportunity to immerse yourself in Latin American culture in London, whilst watching a selection of feature films and documentaries now showing at the ongoing Latin American Film Festival. There is free admission at the festival’s venues: the Bolívar Hall, University College London Institute of the Americas. 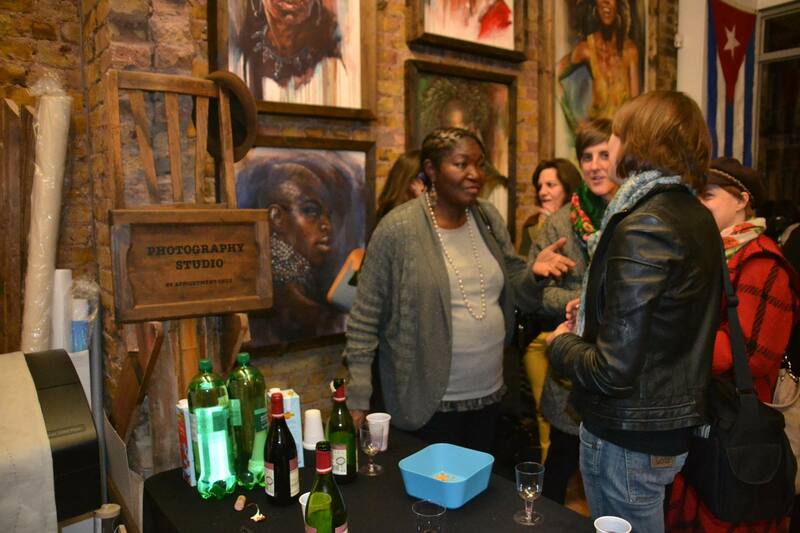 The Festival began last week, in a Latin American way … with a lively party night at 13 The Gallery in Newington Green, in London, where the founder Eva Tarr Kirkhope opened the program, welcoming the stunning exhibition of Erik Olivera Rubio, contemporary painter from Havana, Cuba, known for his unique style of portraiture. The show is being held at 13 The Gallery. Today the painter was at the gallery showing his work and welcoming visitors. 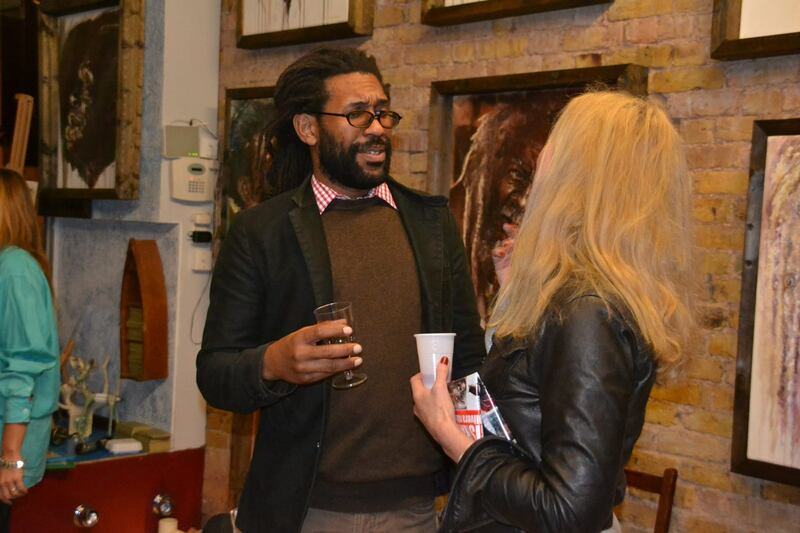 The London Latin American Film Festival, LLAFF, operates on a non-profit basis as does 13 The Gallery. LLAFF brings together the best of Latin American feature films and documentaries each year, to promote recognition for a range of Latin American film talent. Eva Tarr, Founder, Director, Curator and Programmer of the festival, began 24 years ago with her late husband Tony Kirkhope determined to bring to a much wider audience the range of Latin American films which would not otherwise be seen in the UK. The festival aims to raise Latin American cultural awareness and to promote a positive image of Spanish speaking people in the UK. 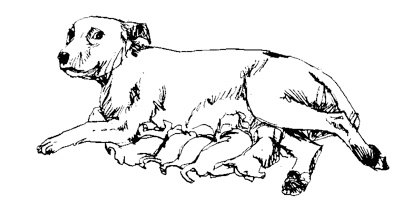 For details of the film program with a summary and trailers: click here. For venues and showing times: click here. For those following this blog, please note that there will be a documentary about Pablo Neruda, 1971 Nobel Prize in Literature. Neruda in the Round, is a 59 minutes colour documentary, with English subtitles, which will be shown at the UCL/Institute of the Americas. The documentary shows a Pablo Neruda recital of his work filmed at the Roundhouse, London, in 1970. Biographer Adam Feinstein and his close friend Robert Pring-Mill discuss his work.To see a trailer on the documentary please click here. 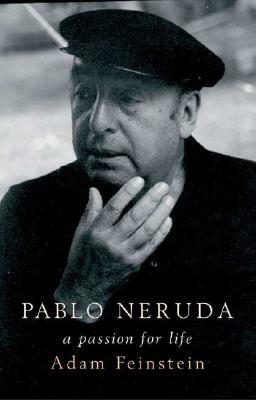 Chilean poet Pablo Neruda was featured in previous articles: 21 Unpublished Poems by Pablo Neruda Brought Together in a New Book, 7 November 2014 and in Las palabras, 19 May 2014.